CRUSADERS, Imitation Dirhams. Mid to late 13th century. AR Dirham . 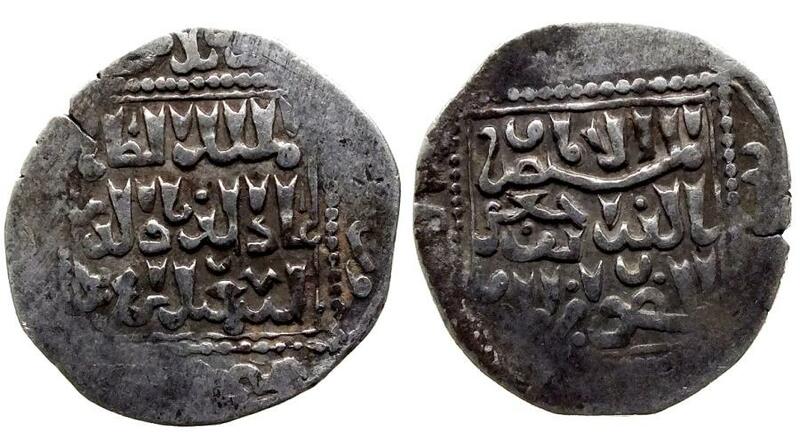 Copying a Damascus mint issue in the name of the Ayyubid al-Salih Isma’il and the ‘Abbasid caliph al-Mustansir. Uncertain mint in Levant. Legend in blundered Arabic citing al-Salih Isma’il; and partial date in outer margin / Legend in blundered Arabic citing al-Mustansir; partial pseudo-mint formula and date in outer margin. Bates Type 5 and 6 ; Metcalf, Crusades 238-9; CCS 9.